French President François Hollande has brought his country to ruin and threatens to bring down Euroland with him. His insane budget plans have been admitted cannot possibly meet EU rules before 2017 and even that assumes some recovery. 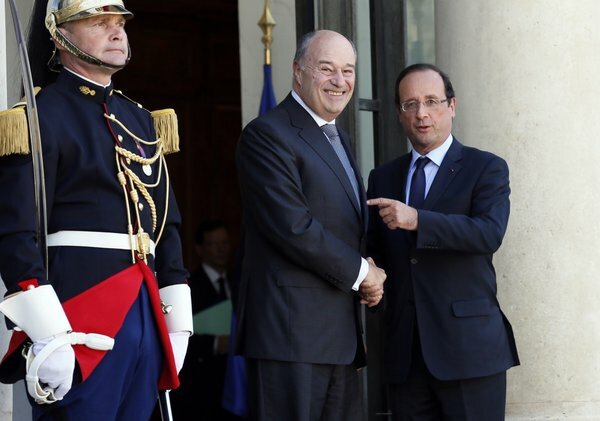 Meanwhile, Hollande has lost his last government partner. The PRG chief Jean-Michel Baylet on Sunday evening on television, announced that his small center-left party PRG will terminate the alliance with the Socialists. Prime Minister Manuel Valls has stated that if the tax burden on the middle class in the draft budget 2015 is not reduced, the party will abandon the Socialists and withdraw its three ministers. Hollande’s term runs until 2017. These people cannot grasp that raising taxes is not the way to stimulate an economy. They people should spend their own money – politicians only confiscate and then spend according to their self-interest. Sorry – it just does not work. « Obama May Turn to Private Armies – Will this be the New Plague?